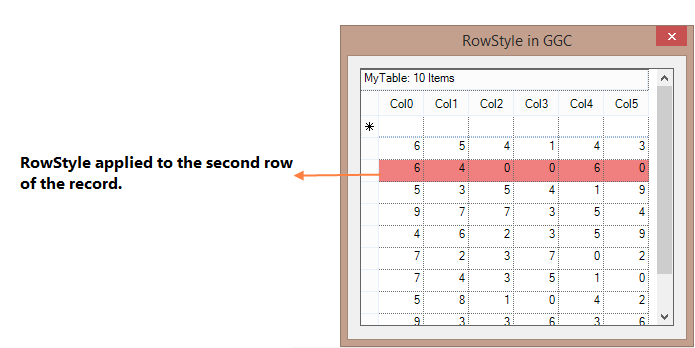 How can I apply row styles to the GridGroupingControl? There is no RowStyles property in the GridGroupingControl similar to the GridControl. You can apply styles to a row by using the QueryCellStyleInfo event. Set the e.Style property there when the e.TableCellIdentity points to the Record that you want to set the style on.